My summer reading list this year included the book, Duel with the Devil, the account of Aaron Burr and Alexander Hamilton working together as the original legal dream team for a young carpenter named Levi Weeks who was accused of the 1800 murder of a young woman named Elma Sands. She had been found in one of the wells dug as part of Manhattan Company’s new municipal water system, a company ironically founded and controlled by Burr himself. The dream team of Burr and Hamilton successfully saw their client proven innocent, and though history shows another scoundrel who had pointed the finger at Levi Weeks was in all likelihood the actual murderer, the case is officially unsolved. The story is one of intrigue, ulterior motives and suspense—criminally, historically, and politically. Two other books on my reading list were The Great Gatsby, and a biography of sorts—that is to say it was a biography of F. Scott and Zelda Fitzgerald, as well as a biography of his novel, The Great Gatsby, combined with the contemporary account of an unsolved murder in New York City that in all likelihood contributed to the backdrop of the events of his famous novel. The title of this book is appropriately, Careless People, and it provides a glimpse into the great revelry, parties, jazz clubs, and speakeasies of 1922 New York City. In it we read of a society in which all morals were discarded in favor of sexual liberation, personal decadence and debauchery, and blurred lines between organized crime, entertainment and the wealth that characterized cosmopolitan life of that time. 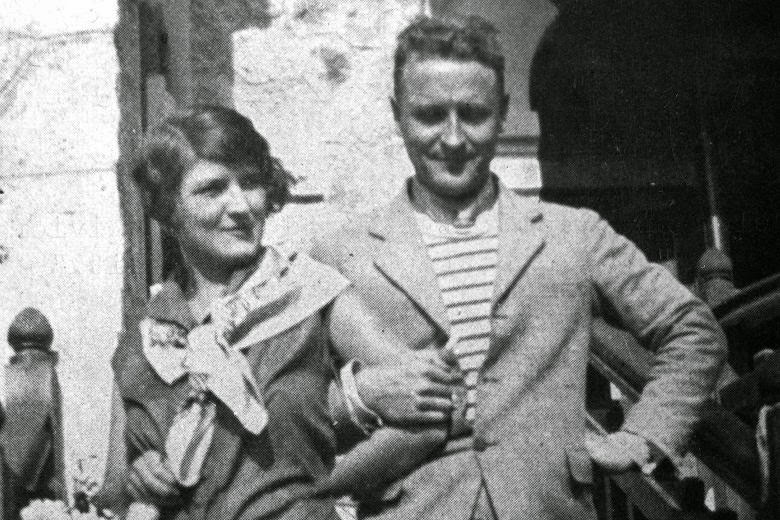 Perhaps no two people better personified the excesses of the Jazz Age than F. Scott Fitzgerald and his wife Zelda. But for newer technologies and scientific discoveries and advancements in investigative forensics for that matter, our own age and culture are not so different than the days of Hamilton’s and Burr’s 1800s United States, or the Jazz Age of the Fitzgeralds and their elitist comrades. Our knowledge has increased immensely. But alas, we seem no wiser. We can communicate with greater and greater speeds, yet we seem no better at listening or understanding. Ours is indeed a careless society consisting of careless individuals. Careless in lifestyles, careless in families and relationships, careless in thinking, careless in commerce, in the arts and sciences, education, literature, careless in journalism, in humanities, careless in politics and governing, and careless in theology. Make no mistake, carelessness has consequences. Carelessness results in decay, defeat, and brokenness. Yet, into this careless world of great confusion and moral relativity exists the noble enterprise of distinctively Christian higher education. Ours is a Christian liberal arts university that transforms lives by equipping students to pursue academic excellence, integrate faith with all areas of knowledge, engage a diverse world, and live worthy of the high calling of God in Christ. Our duty is to counter the carelessness of our world, to make sense of it, and to revalue that which has decayed, been defeated, been broken. Our calling is to care, to be full of care. What a marvelous time to engage in this uniquely counter-cultural calling we have as Christ-followers in the academy. What a splendid day in which to be a rebel in the world of the intelligentsia. What an opportunity we have to take on the careless thinking so prevalent in society today. I’m reminded of the laments of the Englishman, Harry Blamires, who C. S. Lewis inspired and urged begin writing. In his classic, The Christian Mind: How Should a Christian Think, Blamires wrote of his nation in 1963, “There is no longer a Christian mind…. Christianity is emasculated of its intellectual relevance. It remains a vehicle of spirituality and moral guidance at the individual level perhaps; at the communal level it is little more than an expression of sentimentalized togetherness. The mental secularization of Christians means that nowadays we meet only as worshipping beings and as moral beings, not as thinking beings.” He wrote those words fifty years ago and I wonder what he would think of the condition today in Britain, in the United States, around the world. Blamires’ concerns still are a clarion call for the follower of Jesus to think Christianly, that is to think of all things as directly or indirectly related to our eternal destiny as the redeemed. Blamires lamented the very issues for which distinctively Christian higher education exists: to reclaim the Christian intellectual tradition, to see the world through a biblical worldview, meaning that we approach education from an Augustinian perspective: credo ut intelligam, faith precedes knowledge. Distinctively Christian higher education begins with a worldview that begins with a divine and good Creator who allowing free will and even rebellion in His creation, has as a grand theme, love and the redemption of mankind through Jesus’ death, burial, resurrection, ascension, and promised return to set ultimately all things right. We exist as a Christian community of thinkers and scholars and students precisely because of the dearth of Christian thinking lamented by Blamires, precisely because of the overwhelming carelessness of society and the world around us. Clear thinking, precise thinking, deep thinking, critical thinking is sorely needed and it is our job as Christian scholars to reclaim the mind, not just for the academy but for the Church. While we are in and of ourselves not a church, we are a part of her—the intellectual stewards of the church—and as such it is our responsibility to renew minds. Our need has never been more than today. The church needs us. Our communities and cities need us. Our government and indeed the world need us. We are the light of the world. A city on a hill cannot be hidden. “…Let your light shine before men, that they may see your good deeds and praise your Father in heaven” (Matt. 5:16). Ours is a noble calling to reclaim the spheres of influence in our world today: business, education, government and politics, media, arts and entertainment, science and medicine, the family and social and public services. Students, your calling is to prepare to be catalysts for change in our world, to be forces of good in each of these spheres. Faculty, your calling is to equip our students to go forth and carry out their God-given missions. Staff, our calling is to support and enable this worthy enterprise. Each of us has our responsibilities and duties. Each of us has a calling. “You are the salt of the earth. But if the salt loses its saltiness, how can it be made salty again. It is no longer good for anything, except to be thrown out and trampled by men” (Matt. 5:13). Our calling—each of us—is to be salt and light. Our calling and our life work was cast by the Lord who knew us from before the foundation of the earth and has equipped us for such a time as this. I am reminded of Acts 13:36: “For David, after he had served the purpose of God in his own generation, fell asleep and was laid among his fathers...” As followers of Christ, each of us has a unique purpose and calling in our own generation. Francis Schaeffer in his classic, How Should We Then Live? argued for a return to Christian thinking and wrote, “Christian values, however cannot be accepted as a superior utilitarianism, just as a means to an end. The biblical message is truth and it demands a commitment to truth. It means that everything is not the result of the impersonal plus time plus chance, but there is an infinite-personal God who is the Creator of the universe, the space time continuum… This is neither utilitarianism, nor a leap away from reason; it is the truth that gives a unity to all of knowledge and all of life.” Schaeffer also pointed out that “…Christians do not need to be a majority in order for this influence on society to occur” (p.252). To wit, no one can underestimate the influence a solitary man named Paul and the difference he made on the world around him. Into the great philosophical debates of Athens, he engaged the worldviews of the philosophers on Mars Hill. His letters have continued to inspire and make a difference in the lives of millions over the last two millennia. And the world is a different place because of the obedience of a Christian man named Paul. I’m reminded too of another nation and another time of moral decay that ought to serve as a great encouragement for believers today to engage and bring a culture of care to a careless world. In the 1800s England was a world of complete debauchery. Bull-baiting and animal cruelty were common forms of entertainment. Child labor and homelessness were rampant. Prostitution was sanctioned and alcohol abuse was taking a heavy toll on society. The debasement of English society was evident in its awful practice slavery. Slaves were considered subhuman and subject to all kinds of abuse. “To this fellowship,” wrote Gathro, “not only came Parliamentarians William Wilberforce and Henry Thornton, …[but] Charles Grant and Edward Elliot …[a]bolitionist Granville Sharp…James Stephen, Master-in-Chancery and Member of Parliament…and former slave-owner Zachary Macaulay and his wife, Selina, retired Governor-General of India, John Shore, the rector of Clapham church, John Venn, and a stream of visitors, including Prime Minister William Pitt, Parliamentarian Thomas Babington, Reverend Thomas Gisborne, Dean Isaac Milner of Queens College, poet and playwright Hanna More, and Reverend Charles Simeon of Cambridge” (Richard Gathro, William Wilberforce and His Circle of Friends ://www.cslewisinstitute.org/webfm_send/471). These were the people who were among the societal elites of their day themselves yet they determined to battle apathy with action, to counter carelessness with care. They dared to make a difference. So are we. So should we. How? The Clapham Circle can inform us. • "They shared a common commitment to Jesus Christ and a clear sense of calling. • They were committed to lifelong friendship and mutual submission was the norm. • Their advocacy was marked by careful research, planning and strategy. • They worshiped both privately and publicly, gathering twice weekly at the Clapham Church. • Their friendships were inclusive and focused on the essentials. 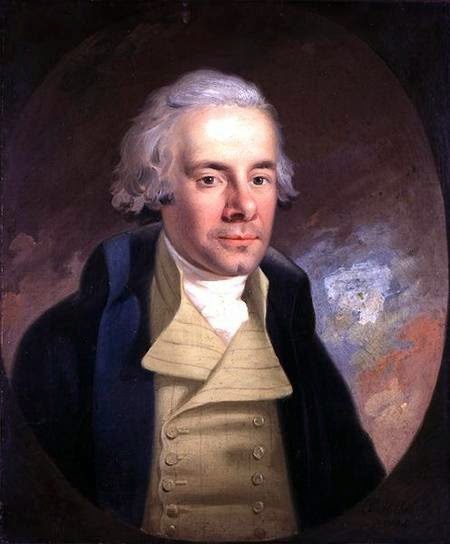 For example, Wilberforce was a Wesleyan and his closest friend, Henry Thornton, was a Calvinist. • They made family life a clear priority and delighted in each other’s marriages and children. • They kept the ‘long view’ on completing projects. Abolition of the slave trade took 20 years! • They made no dichotomy between evangelism and social action. Their magazine, The Christian Observer, exemplifie[d] this. • They enabled one another vs. trying to “have it all.” They recognized each other’s passions and supported one another in addressing them. The love of God was the very center of the group’s reason for being together and what became their legacy. “From this love sprang a group that changed history.” (Richard Gathro, William Wilberforce and His Circle of Friends, www.cslewisinstitute.org/webfm_send/471). Change history they did, and in so doing helped not only to achieve the great life callings of Wilberforce and Thornton to abolish slavery in their nation, but influenced our own nation with Abraham Lincoln and Frederick Douglas claiming Wilberforce as personal heroes. Eric Metaxas has suggested that “cultural elites are the next unreached people group, providing further evidence of the need for reformers and counter cultural influences in our own society. Metaxes wrote of the Clapham Circles, “[F]ar beyond abolition, Wilberforce and his friends had a monumental impact on the wider British culture, and on the world beyond Britain, because they succeeded not only in ending the slave trade and slavery, but in changing the entire mindset of the culture. What had been an effectively pagan worldview, where slavery and the abuse of human beings was accepted as inevitable and normative, became an effectively biblical worldview, in which human beings were seen as created in the image of God. The idea that one should love one’s neighbor was brought into the cultural mainstream for the first time in history, and the world has never been the same” (Eric Metaxes, Cultural Elites: The Next Unreached People Group, www.fermiproject.com, p. 4). Furthermore Metaxes wrote, “What began as a war against the slave trade became a war against every other social ill: from the treatment of prisoners, to child labor, to caring for orphans, to epidemic alcoholism, to prostitution, to illiteracy among the poor, to public spectacles of animal cruelty… When [he] began his career in Parliament, the idea of helping the poor was virtually unheard of, but a few decades later, he and his friends had effectively launched…a time when helping the poor and fighting social injustice were the cultural norm… By the time he died in 1833, [his] goal ‘to make goodness fashionable’ had succeeded beyond anything he could have dreamt. The fashion leapt across the Atlantic too, and just as in Britain, societies to do good bloomed across America and have flourished ever since” (Eric Metaxes, Cultural Elites: The Next Unreached People Group, www.fermiproject.com, p. 4). Wilberforce and his compatriots indeed changed the world. The ills of society are legion. Carelessness is rampant. Carelessness has consequences: broken families, dying churches, and a culture of degradation and entropy. Scott Fitzgerald died young of alcoholism and drug abuse, never seeing his novel, The Great Gatsby—itself a commentary on the ills of modernity divorced from truth and absolutes—achieve the literary success it eventually earned. His wife Zelda was institutionalized, a victim of her own careless lifestyle and poor choices. They were careless people, committing careless actions and suffering the consequences. Two of our nation’s greatest founders, Burr and Hamilton, as brilliant as they were, stand as testimonies to the tragedy and consequences of carelessness. After having teamed up to successfully defend a client falsely accused, they soon resumed their political battles against each other. Burr’s great enterprise, the Manhattan Company was just a ploy to establish a bank (now known as Chase Manhattan) in order to compete with Hamilton’s own each of which was used to finance and influence the upcoming national elections. The two men hurled very public and vicious accusations at each other and a duel with pistols ensued. The great Hamilton lost his life in the duel. Burr lost his reputation. Careless people. Careless actions. Tragic consequences. Might it be overwhelming to engage? Might it be tempting to feel hopeless? May it never be with those who trust the Lord! We exist as a Christian institution of higher learning that we might make a difference. We exist because we trust a Sovereign God has called us to be salt and light in a world desperate for moral leadership. We exist to meet as worshipping beings, as moral beings, and as thinking beings. We exist to be catalysts for change. We are here to learn, to think, to act. Ours is a society and world full of cultural and intellectual elites as well as the suffering and social outcasts. To this world we are sent. In this generation we are divinely placed to make a difference. We are to be faithful followers of history’s most loving revolutionary and counter-cultural figure, Jesus. This is our time and what we do matters. I don’t suppose it’s too far-fetched to suggest or even dare believe that here on Bison Hill we are preparing a new generation to rise up and serve as change agents—modern day equivalents of Britain’s Clapham Circles—that we are equipping a generation of young leaders who in their own generation will make goodness fashionable, who will be full of care in an otherwise careless world, who will love their neighbors, who will see past a false dichotomy and bifurcation of justice and the gospel, who will cultivate civility, and who will winsomely engage with and yes, even change the world. So be it, in the name of the Father, Son and Holy Spirit. Amen.